Distilling complex data down to a single metric is highly useful for day-to-day decision-making. The concept of paid credit does just that. Paid credit is the sum of conversions that occurred from ads plus the assisted credit from all other conversion paths from that campaign or channel. If you understand basic attribution concepts, you may be questioning whether or not this is the same as the “assisted conversions” in Google Analytics. Paid credit is different because it takes the unique path of every conversion into consideration. 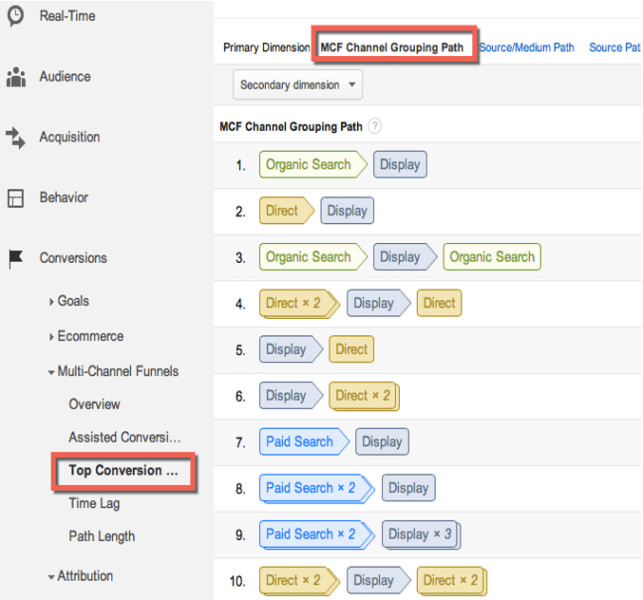 In the following example of conversion paths from Google Analytics, row 9 has five total touch points, two from paid search and three from the display. The classic “assisted conversion” would credit 1 to the display channel. This becomes problematic as conversion paths get longer and more complex. If the average conversion path length is 10 to 15 touches long, giving a campaign or channel one assisted conversion even if it only appeared once is misleading because assisted conversions will overvalue your campaigns. Paid credit, in the same scenario, would take the number of touches from the given campaign or channel and divide it by the total number of touches, giving display a 0.6 paid credit. At scale, paid credit can be used at the channel level for investment decisions and at the campaign level for optimization decisions. Paid credit is going to give more value to campaigns and keywords that are higher in the funnel and earlier in the customer journey while not disproportionately crediting them. The chart below highlights an example of how only viewing regular conversions does not show the real value of the campaign. Additionally, when tactical marketers are making budget or optimization decisions, “Campaign Z” appears to be the weakest campaign; however, when viewing with paid credit, we can see that “Campaign Y” is actually the weakest in the mix. Now that we’re able to work with the basics of paid credit to understand the entirety of our campaign performance, it is valuable to break out our campaign activities by funnel stage to understand where everything is contributing the most. Funnel stages refers to the concept of the marketing funnel. Certain campaigns and channels are inherently “top of the funnel,” which means they introduce new users to the brand but aren’t necessarily strong at driving a direct response. These channels include Facebook, Google Display Network and so on. “Bottom of the funnel” refers to campaigns and channels that tend to be stronger at driving a direct response, such as paid search. Top of funnel: touches 1 through 4. Middle of funnel: touches 5 through 8. Bottom of funnel: touches 9 through 12. Now, what do we do with these data? They are very important when making strategic decisions around an integrated marketing strategy. It’s important for the marketing team to know what’s working with users through each stage of the funnel so they can capitalize on the good and minimize the bad. As you advance in the various concepts of attribution modeling, you can begin looking at different attribution models across all channels to better inform investment decisions across channels and campaigns. When looking at a traditional “last touch” model, it’s common for channels feeding the top and middle of the marketing funnel to receive a lower investment, if any at all. Viewing campaigns and channels with different models and metrics (such as paid credit) results in better investment decisions. These concepts only scratch the surface of the topic of marketing attribution. 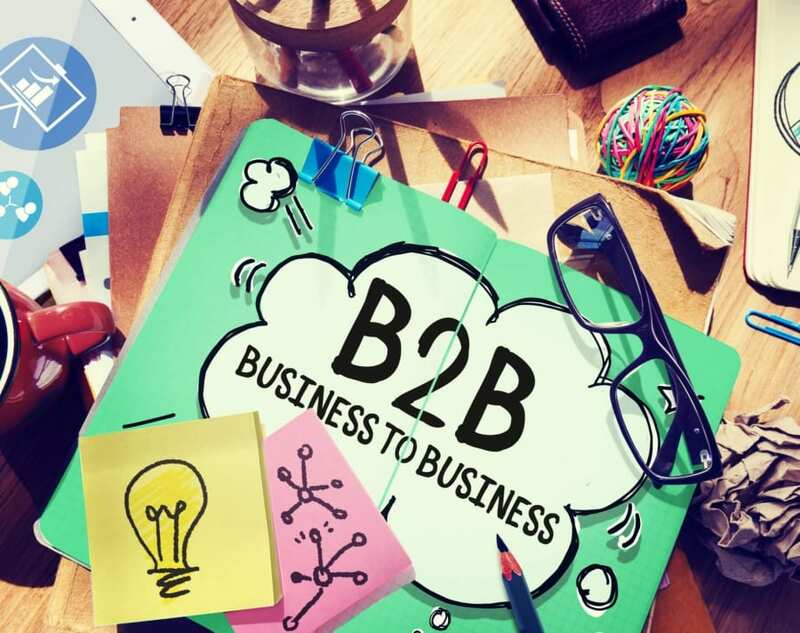 Paid credit will distill touch points down to a single metric for quick decision-making, viewing campaigns by funnel stage will help with strategic alignment, and understanding high-level attribution across all channels will make for better investments. The journey to full attribution insights is complex but well worth it. The post 3 attribution considerations for B2B lead generation appeared first on Marketing Land.